Need to take a little time for yourself this weekend and keep out of the heat? Head to Lacon, IL to Marshall County Old Settlers and the quilt show being held at St. Joseph's Nursing Home. To celebrate their 50th anniversary, St. Joseph's is holding a quilt show and bed-turning. The bed-turning will begin at 10 AM and the quilts will be on display from 10 AM - 3 PM. 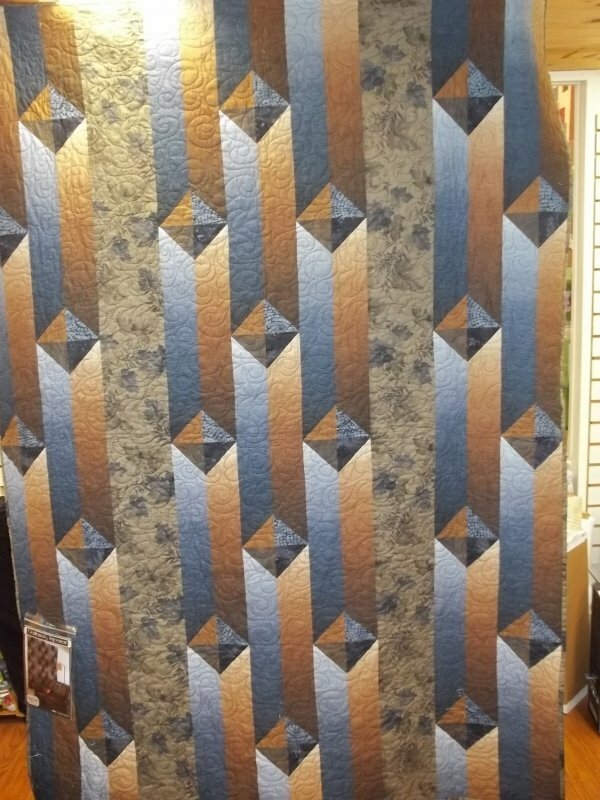 Some of our very own customers will have quilts on display. Even a few antique quilts from my mother-in-law, Dorothy Keller, will be included in the bed-turning. I was able to get the history from Dorothy on her quilts and realized I had some priceless information. Now I know the stories behind the quilts! We have lots of new samples that we have started putting up in the store. Be sure to stop in and see them! Don't you just love this new quilt, Gentlemen's Agreement?! We even have Shannon fabric on the back!